Major Crimes wrapped up its summer season with a quite literal bang last night, as the team worked to solve the mystery of the courtroom conspiracy. 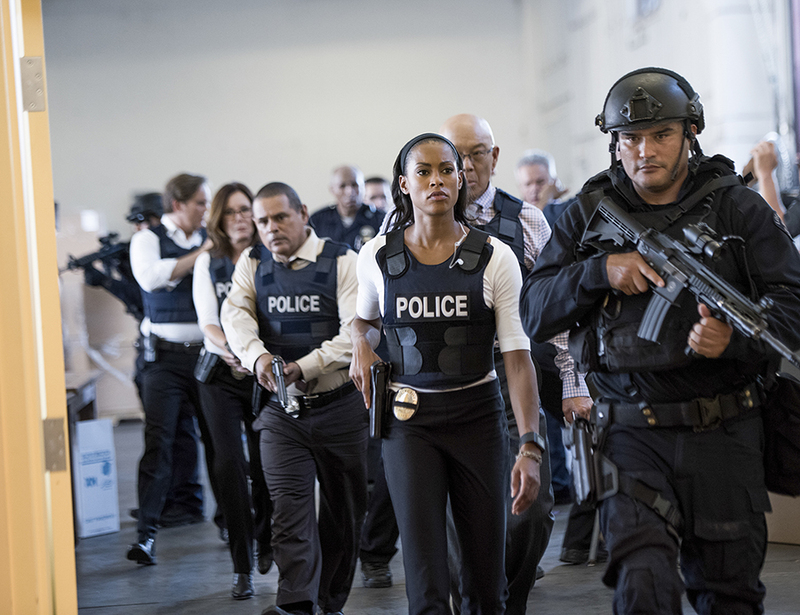 3.10 million viewers tuned in to see the final part of the summer finale, marking the first time Major Crimes has had to compete against both Monday Night Football and the regular fall season of broadcast premieres. Despite the competition, Major Crimes won the night as the most-watched scripted cable broadcast. In key demographics, the episode rose to 0.4 million viewers 18-49, down from the season average, but up from last week by up 20%. As has been the case throughout this summer season, Major Crimes continues to perform very strongly in time-delayed ratings. Episode 511 (the first part of the summer finale) added over 2.39 million viewers in Live + 3 day viewers, growing to 6.45 million viewers. That earned it the #1 spot for the greatest gains (+56%) in total viewers of all cable programs for the week, including the series finale of Rizzoli & Isles (+36%). Greater gains were seen in key demographics, where the episode doubled in L3 to 0.8 million viewers 18-49, an increase of 80% over Live + Same Day. As we first noted yesterday, since moving to the 10PM timeslot this season for the first time, Major Crimes has vastly performed all nine TNT scripted series which have previously held a 10pm time slot since 2012. Major Crimes season 5 average of 0.45 million viewers 18-49 in Live + Same Day is currently performing over 41% better than the final season average any of the other series TNT has had at 10pm in the last four years. In total viewers, Major Crimes is performing 131% better (1.61 TNT 10pm series average; Major Crimes: 3.72 million) than the average of all other TNT series in the 10pm slot since its inception, including Proof, King and Maxwell, Falling Skies Legends, Monday Mornings, Perception, Public Morals, Transporter, and Franklin & Bash, all series which have since been cancelled. Compared to TNT’s only other 10pm show this season, Murder in the First, Major Crimes performance is even more impressive, with growth of 95% in key demographics (MITF: 0.23 million, MC: 0.45 million) over Murder in the First’s viewership. In total viewers, Major Crimes easily more than doubles its viewers over Murder in the First, growing 171% with an average of 3.7 million viewers over Murder in the First‘s 1.37 million. As this summer season comes to a close, we ask TNT to please renew Major Crimes for season 6. 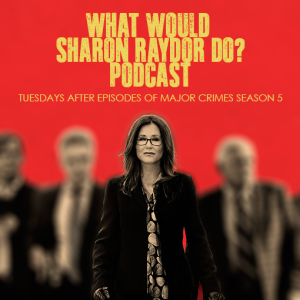 We also ask fellow fans to help us by sharing our Open Letter to TNT President Kevin Reilly Regarding the Season 6 Renewal of Major Crimes, tweeting them @TNTDrama, visiting them on Facebook, and for more information on how to make your voice heard, click here. I own every season of Major Crimes. My husband and I absolutely love the show. We keep the current season stored on our DVR until it comes out for purchase. It is the one show I truly look forward to each season. Losing this show from your line up would be a big mistake. The characters and their story lines have become something die hard fans have become invested in. This show has become a somewhat kind of family. When a character leaves or dies in the show it affects the fans. The actors and writers of this show have a chemistry that is hard to find and very hard to continue for the length of time this show has been on. Please don’t remove Major Crimes from your line up. It is one of, if not the BEST show you have on your network. I have been a fan since Closer. The cast is the best on all of TV. The story lines are great. We need good shows to watch. DON’T cancel this show, don’t write out any characters (Flynn), these are the originals and the best. A true fan. Do not end this show!! You have one of the best series on TV. Please do not end it!! I’d have to check with you here. Which is not one thing I usually do! I get pleasure from reading a submit that may make individuals think. Additionally, thanks for allowing me to comment! Please renew its one of the best programs on we watch all the time. So very good. Love the writing, the story lines , the actors . There is not many good programs on anymore. Living in the U.K. We get the show later. In fact I buy it through Amazon to get the episodes and when eventually about (seems like years later) I buy it on DVD. This is to remind you that it’s not just people in the States that love the show, it’s all over the world too. I’ve watched it from the beginning, then discovered there was a previous series, The Closer, which I also got hooked on. So now I have all seven series of that. So now am watching season 5 on Amazon and still waiting for season 4 to be available in the U.K. (Hint, hint).